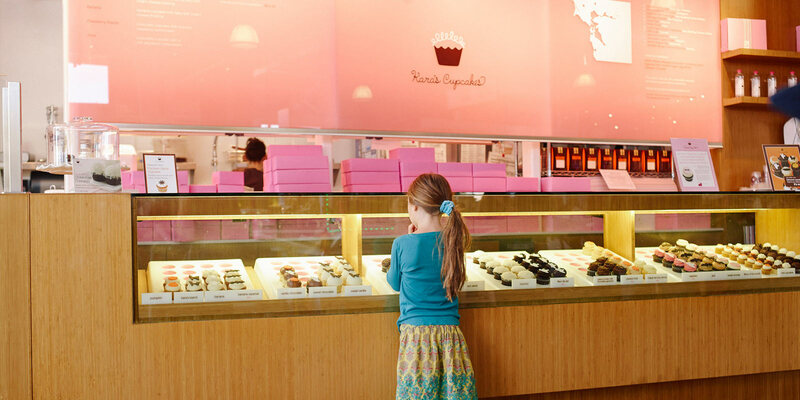 Kara’s Cupcakes is where you’ll find sweet satisfaction. Cupcakes lovingly baked throughout the day in small batches using the finest ingredients sourced from local, sustainable, and whenever possible, organic producers. Kara’s cakes, baked and custom designed to order. And Kara’s specialty sweets, handmade using the quality ingredients enjoyed in their cupcakes.